Delhi High Court refused to pass any interim stay order in view of a Supreme Court direction that such matters needed to be decided within a year. New Delhi: The Delhi High Court on Thursday refrained from ordering an interim stay on trial proceedings in a criminal defamation case filed against Delhi CM Arvind Kejriwal by a former aide of Congress leader Sheila Dikshit. Justice A K Pathak refused to pass any interim stay order in view of a Supreme Court direction that such matters needed to be decided within a year. The court, however, issued notices to the state and the complainant Pawan Khera, seeking their stands on Mr Kejriwal's plea that the complaint was not maintainable as the person affected has not approached the trial court. 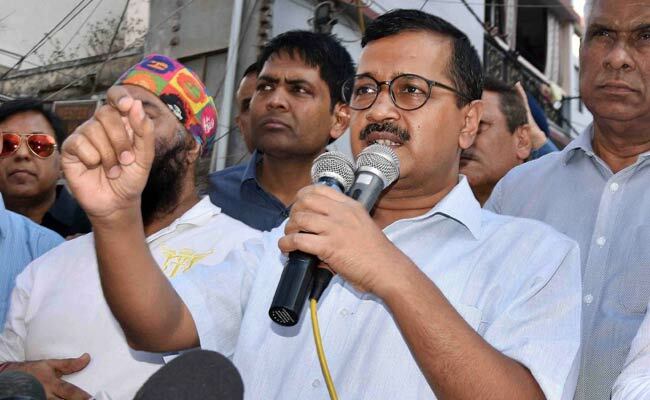 The complainant had filed the defamation case over Mr Kejriwal's alleged remarks against Ms Dikshit during power tariff hike protests in October 2012. Mr Khera had said that the AAP leader had used objectionable language against the former chief minister in a television show. Appearing for Mr Kejriwal, senior advocate Sudhir Nandrajog contended that the complaint was ex-facie illegal and sought a stay on the trial court proceedings. Nandrajog, however, also informed the high court about the top court's decision that such matters have to be decided or disposed of within a year. The court subsequently said that in view of the top court's direction, no interim order can be passed at this stage and listed the matter for further hearing on July 11. The Aam Aadmi Party (AAP) supremo in his plea has sought quashing of the criminal defamation complaint filed against him by Mr Khera, Ms Dikshit's former political secretary. In his plea, he has questioned Mr Khera's locus standi to file the complaint and also sought quashing of the January 2013 summons to him and the subsequent proceedings in the matter. Maintaining that prima facie defamation charges were made out against Mr Kejriwal, the trial court had put him on trial in 2013 after he pleaded not guilty.